I live in Rome and everyday I can see one of the New 7 Wonders of the World, the Colosseum. Every time I look at it, I like trying to imagine what used to happen in this magnificent place 2000 years ago and I love getting lost in these thoughts. 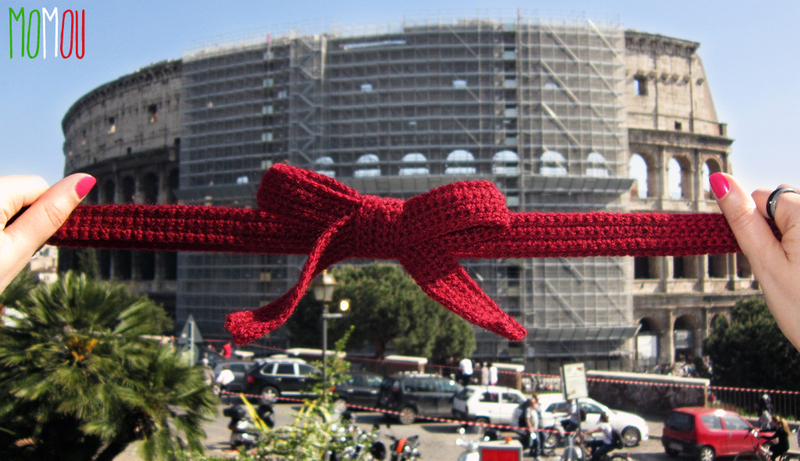 Unfortunately for my photo, it is actually bundled off many scaffolds for a restoration work. 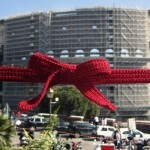 I hope I will be soon able to yarn bomb it again without them covering its facade!